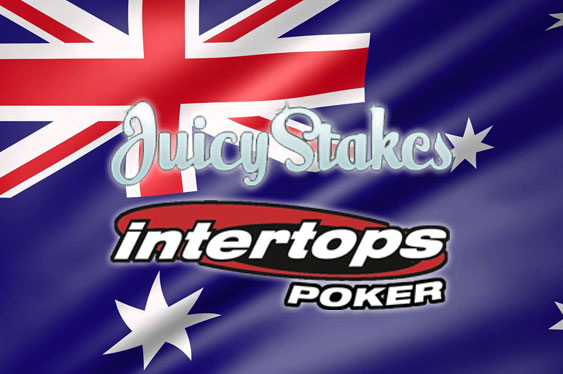 Friday will see Juicy Stakes and Intertops Poker kick off their special Aussie Tournament Series guaranteeing at least $5,000 in cash prizes via six events. The Horizon Poker Network sites revealed that the latest addition to their already considerable tournament schedule is set to kick off on July 14 from 8pm Sydney time, which is 14 hours ahead of New York and nine hours in advance of London, with a $5.50 buy-in Texas no-limit affair promising a minimum prize pool of $500. From here, July 15 from the same time will see the domains hosting an $11 buy-in Texas no-limit tournament with $1,000 in the prize fund before this event is repeated only 24 hours later. After this weekend has seen Juicy Stakes and Intertops Poker dish out a minimum of $2,500, the sites explained that they are to moreover duplicate the whole affair beginning on July 21 via an identical trio of tournaments.